The Following interview clips are from the oral histories done of medical cannabis patients at the 2015 Emerald Cup, Sonoma County Fairgrounds, Santa Rosa, California. A farmer and educator, Terry Rugg, talks about use of cannabis for his heart disease and in his recent fight with cancer. He also discusses the police raid on his farm and ongoing prosecution by the Kansas legal system. Matthew O’Neill, a medical cannabis patient for epilepsy, talks about his mother’s fight with cancer and helping finding cannabis for her when he was a teenager. 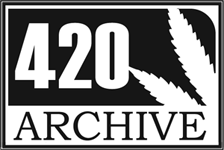 The Following interview clips are from the oral histories done of medical cannabis patients and operators at the 2015 Americans for Safe Access Medical Cannabis Conference, Washington, D.C.
Place of Interview: Americans for Safe Access Medical Cannabis Conference, Washington, D.C.
Alvarez began using medical cannabis for in 2009 as an alcohol substitute for alcohol dependence. Yami Bolanos discusses the difficulties and challenges of following dispensary regulations in Los Angeles, CA. After Doctor told him he was dying and there was nothing they could do for him, he became aware of Medical Cannabis for his chronic pain, nausea, lack of appetite (possible Crones Disease). Mimi Friedman suffers from end-stage achalasia with esophageal muscle spasms, gastroparesis, sliding hiatal hernia, and peptic ulcer disease which began after a car accident. Friedman discusses her experience trying to move to a state with medical cannabis only to see the laws reversed. Steve Green uses medical cannabis for Epilepsy, PTSD, Chronic Pain. He discusses State and Local Laws effect on medical cannabis use in Oakland County, Michigan. Even though he was a medical patient and followed protocols in place he got charged criminally in Michigan for the cultivation of marijuana and had his infant daughter removed from their family’s home. Disabled Navy veteran, she started treating son with mental illness with medical cannabis in 2001. Started to use medical cannabis herself in 2004 to treat PTSD and Gastric bypass surgery complications. Sarah Shrader uses medical cannabis for fibromyalgia caused by a motor vehicle accident at 19 years old. Initially had reservations, felt she didn’t need it as much as terminally ill patients. Issues with recording. Echoing near the end.